Rear Park Assist is a General Motors active safety technology that helps the driver park their vehicle when in reverse and avoid crashing into nearby objects. The system provides “distance-to-object” and object location alerts to help the driver park and avoid crashing into nearby objects during low-speed backing by using 4 ultrasonic sensors mounted on the rear bumper that have a range of up to 8 feet (2.4 meters). The sensors are capable of detecting objects within a zone of 10 inches (25 cm) off ground and below bumper level. 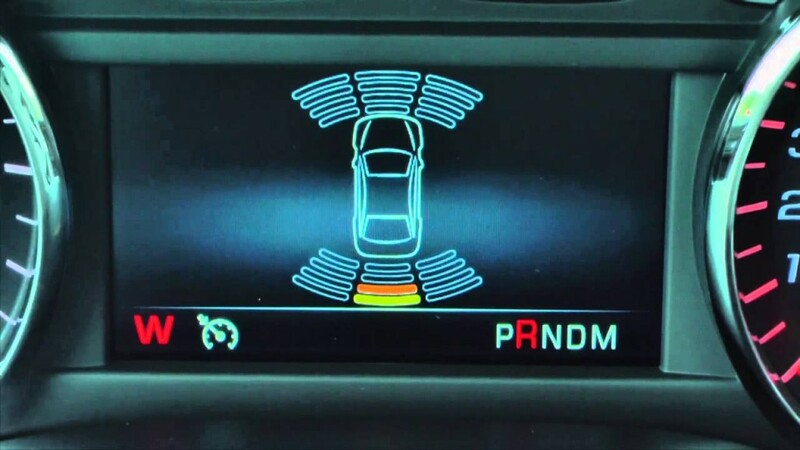 When a vehicle is equipped with Rear Park Assist as well as with the Rear Vision Camera, a warning triangle on the camera screen shows where the nearest object has been detected. As the object gets closer, this triangle changes from amber to red and increases in size. Rear Park Assist is the most basic version of the General Motors Park Assist feature set. Front and Rear Park Assist is the intermediate version while Automatic Park Assist is the most advanced.